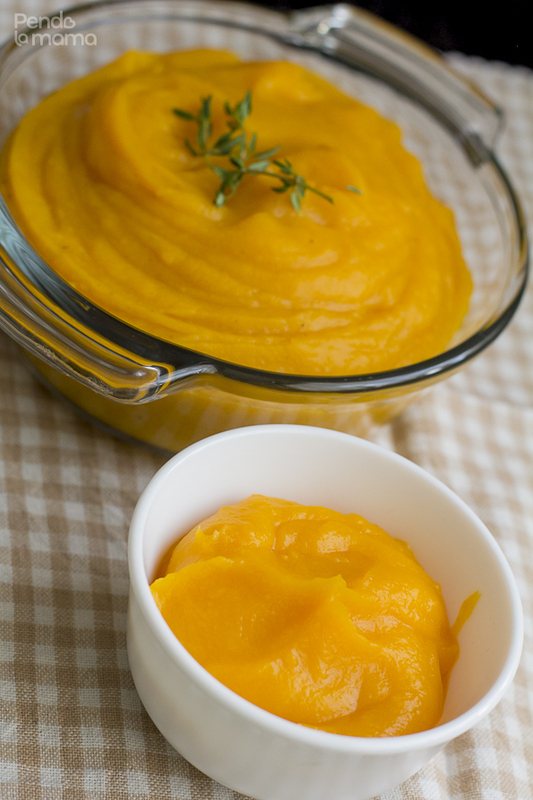 This post is the beginning of me exploring a new category, and I hope this will the first of many posts — baby food! 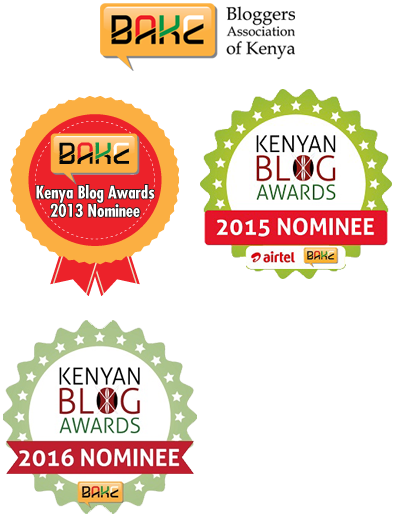 Starting with a few weaning recipes that I used myself. This first one is with the good old butternut. 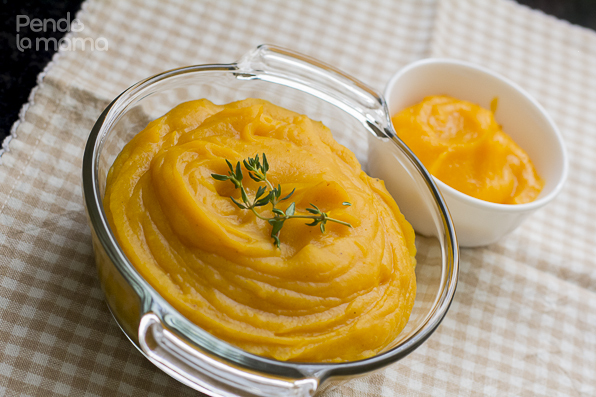 There are several of us out there that don’t ever want see butternut in our adult I-can-choose-what-I-want-to-eat lives. We were just fed so much of it well into our pre-teen lives. The worst thing is that it was just boiled. 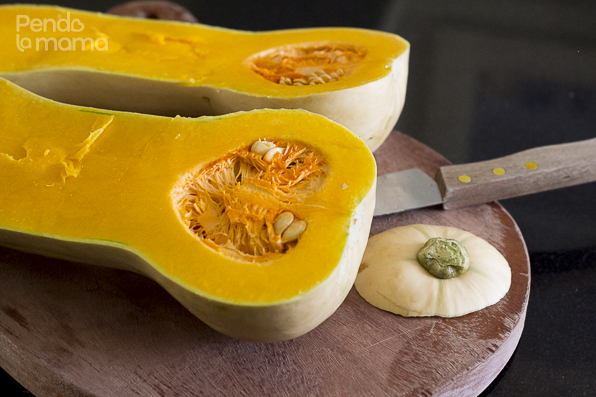 Butternut, and it’s cousin, the pumpkin, can actually be nice if prepared more creatively. If you are one of those guys I’m talking about and you decide to give butternut a chance again, try roasting it in the oven instead of boiling, that will already make it 50% better! So even for baby, we will roast it. Begin by chopping off the top and cutting it in half. The remove the seeds with a spoon. You can roast it plain, but sometimes I like to put a fresh herb with it in the oven to give it a nice aroma. I like rosemary, but on this day I only fresh thyme, so I tried it out. Rosemary is better. The thy didn’t come through much. 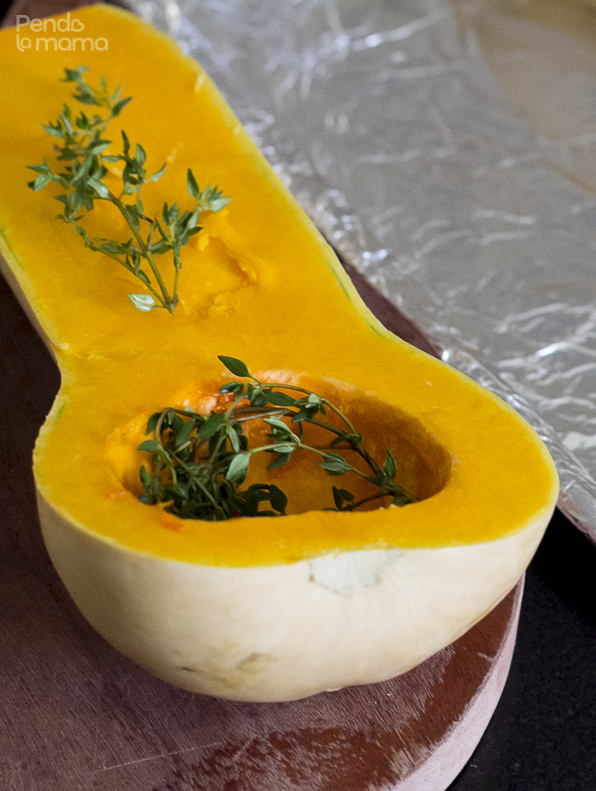 Place your preferred herb on the cut side and lay the halves cut side down in an oven pan lined with foil. Set the oven to 180°C and roast for 30-40 minutes. 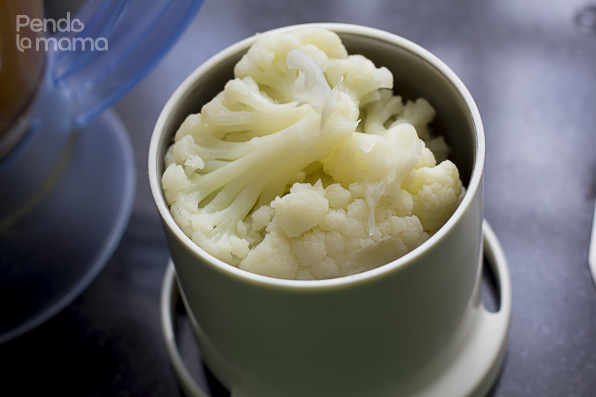 While the butternut is roasting, you can prepare the cauliflower. Chop wash and boil till just tender. 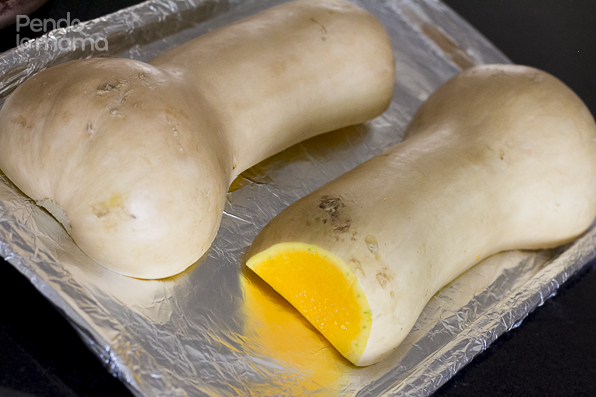 Alternatively you can prepare them with the butternut and roast them as well. 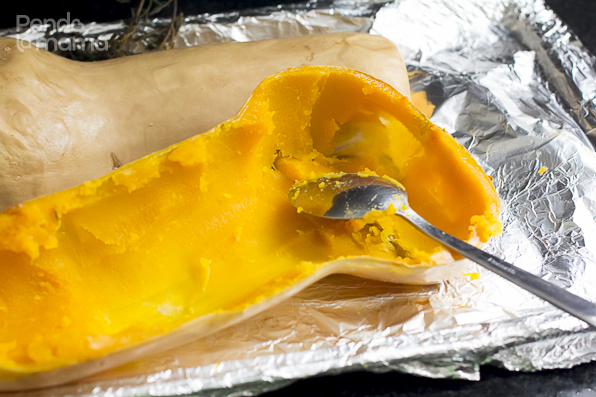 When the butternut is done cooking, it will be super soft and easy to spoon out. blend without the herb you roasted with, unless it’s a soft herb. 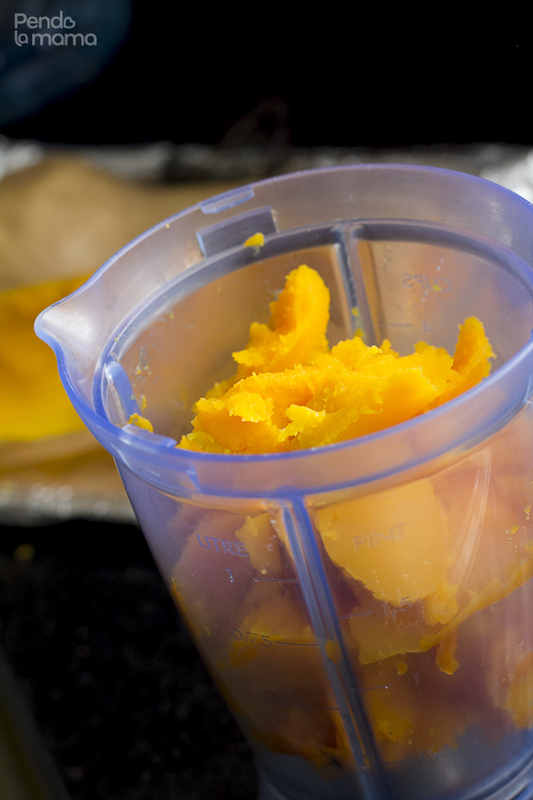 Now the blended butternut will taste nice cause it was roasted but the texture will not be so great. At least not to me. 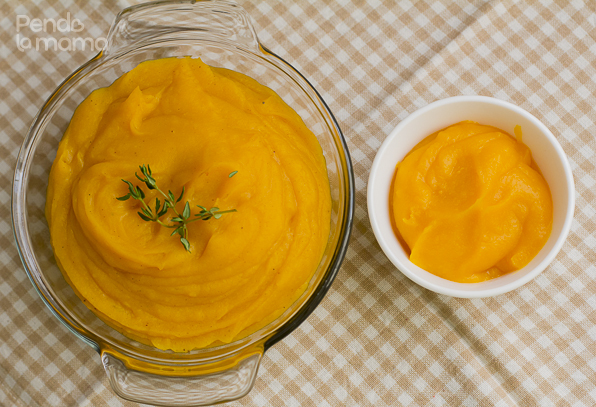 I always feel like it needs help, so you can add mashed potatoes or even sweet potatoes. For baby I add a vegetable. The cauliflower, or sometimes broccoli if you’d like. 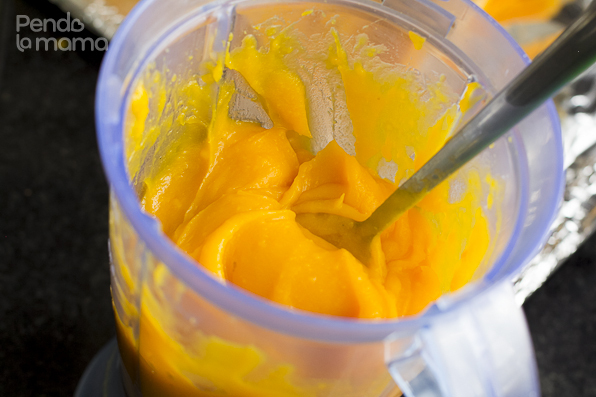 As you blend add water or milk to make it as soft as you need it to be for your baby. How soft or solid you make it really depends on how far along your baby is in the weaning process. …and then mix them together. Play with the ratio until you get a consistency you like. 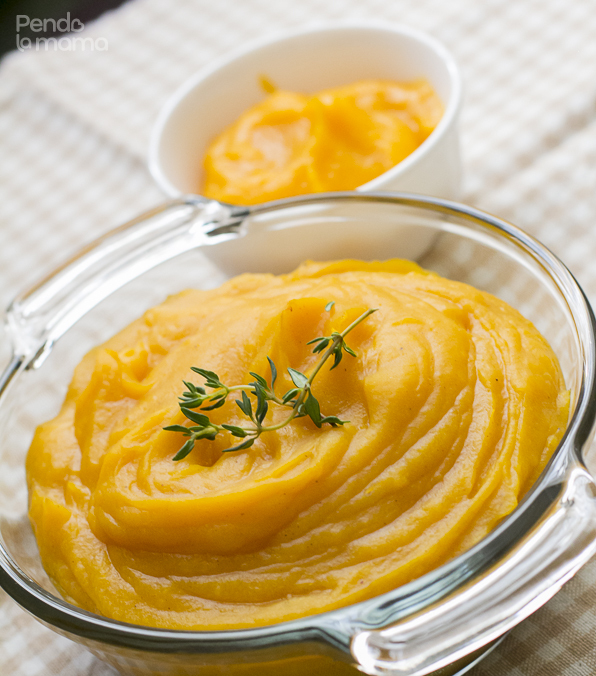 The great thing about this recipe is it can double up as a mash side dish for the adults in the house too. 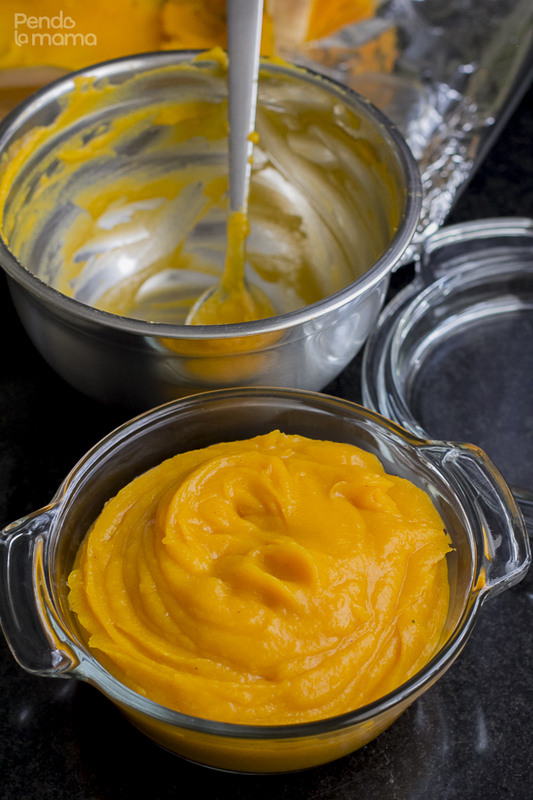 For the adult portion, make it less soft, add salt and cinnamon (or which ever spices you prefer), butter, freshly ground black pepper, cream, some garlic (you can put some garlic cloves to roast in the oven with the butternut and then blend them in) … e.t.c. You get dinner for the baby and for the adults! How awesome is that? This one is all baby food. I often made large portions and froze them in small packs to save me from the hassle of having to cook something for the baby every day. I would make 2 different dishes and alternate them, enough for four days. 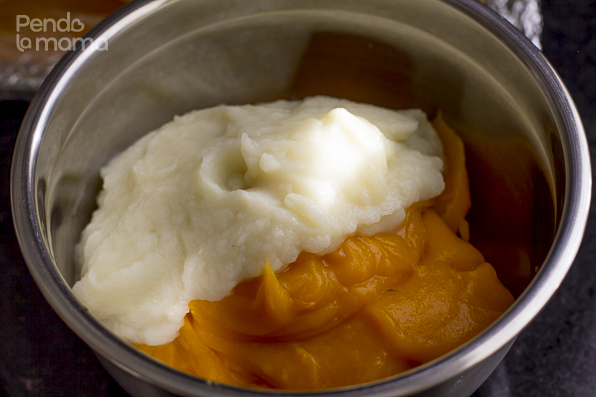 And there you have it, the first recipe post for baby! I have wanted to start posting baby recipes since last year in October, I’m glad I’m finally getting around to it. Don’t worry, I’m not going to bombard you with baby food all the time now, it will be once a month at the most. I hope you enjoyed the post. Would love to hear from you, share you thoughts in the comments below.